cococozy | Vim & Vintage - design. life. style. Turquoise and lime. 2 of my favorite colors of all time. But how do they look together…? Obviously stunning. Too much of a good thing is…well… fabulous! I LOVE this bedroom. The wallpaper and chair fabric are wonderful. These two colors are best accented against a white backdrop. Spend the first few months of your life here and your destined to grow up with good taste. This tile makes my life complete. Seriously. 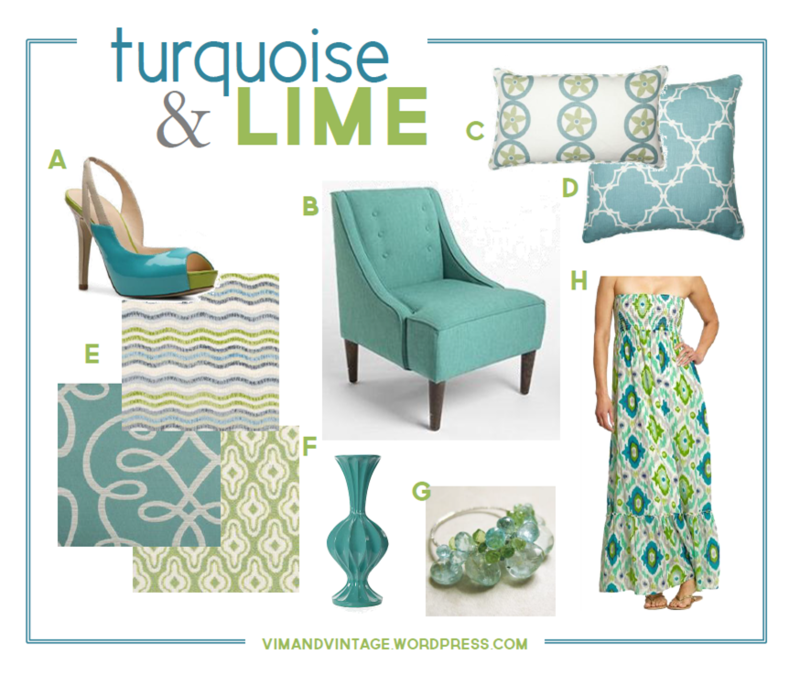 My picks for turquoise + lime? You got it.